The dark pewter-grey roes of the 'Oscietra Royal' are characterised by a complex and rich flavour. Its sizeable grains with a subtle taste of sea urchin and nuts, smoothly roll over the tongue. 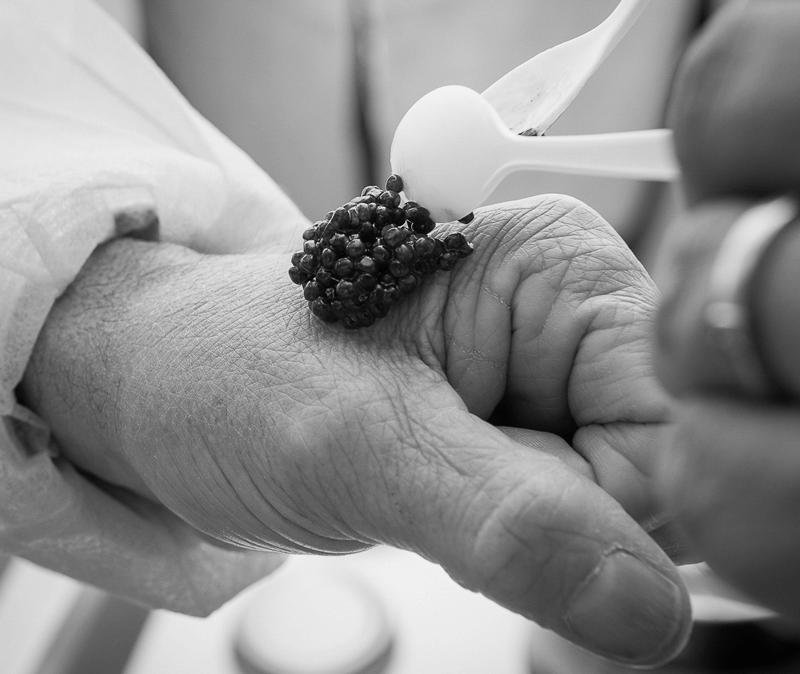 The Oscietra is considered to be one of the more notable caviars. 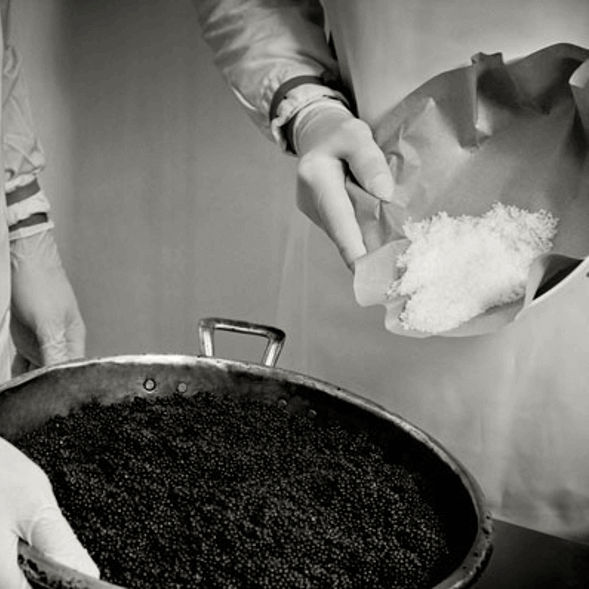 A typical Russian MALOSSOL caviar (mildly salted). CULTURE: AQUACULTURE LOMBARDY REGION / IN THE WILD: CASPIAN SEA, BLACK SEA AND AZOV.